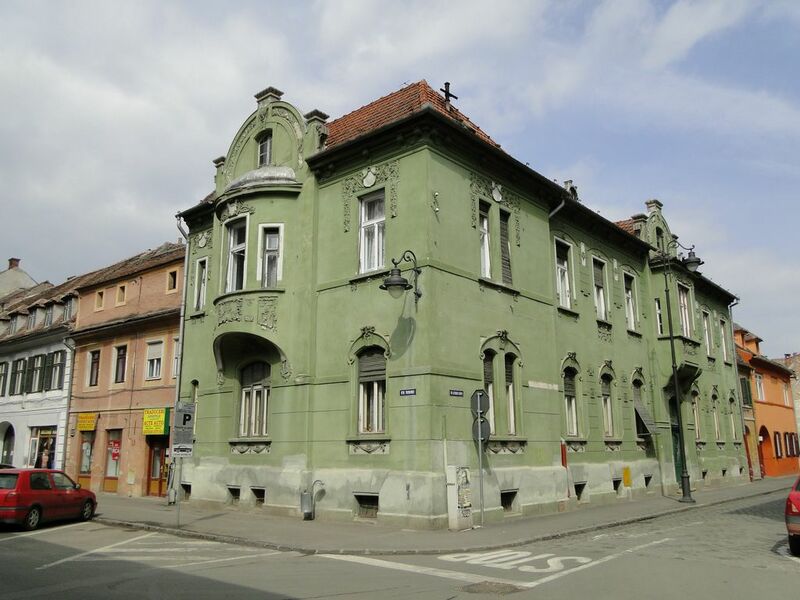 The building is formed of a basement, a ground floor and the first floor, situated at the crossroad with Tribunei Street, made in the fashion of the “1900” art. The façade looking onto Tribunei Street is composed symmetrically with a semi-circular bow window at the first floor, displaying a semi-round pediment. The rich decoration consists of geometrical and vegetal elements. The ridged roof has crests parallel to the two streets, presenting semi-circular metal plate skylights. The windows are equipped with the old roller blinds. - The access gate has a metallic traforium displaying vegetal motifs in the style of the “1900” art.